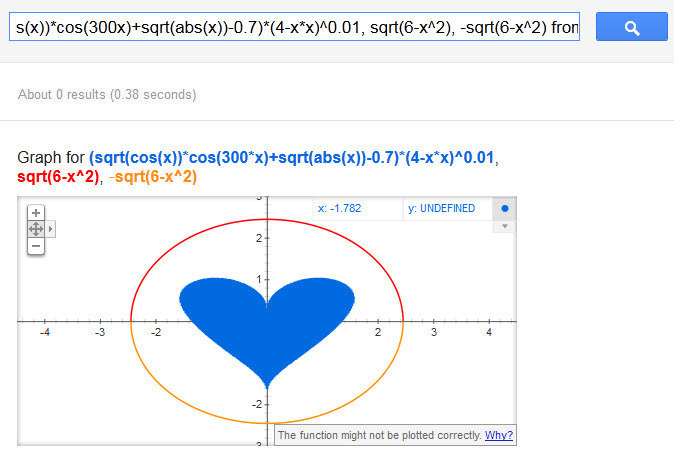 New Valentine’s Day google math trick from twitter user Huckberry. 1.Go to google and type (or go to source link and copy paste)the below equation in the google search field and press the search button. (if you have Google Instant enabled, it’s on the right hand side of the suggested searches). in the search field and hit search and watch.